I really do love to visit new places and see how other folks live. Given that I’ve been following bloggers who live in the northeastern United States of America for the past couple years and that some dear friends and family members also have strong ties to that region, it was fun for me to poke around and see what I noticed. Once we left RDC, we didn’t have a plan other than to get to the farm where we would be spending the night. Given that Sunday was my husband’s birthday I let him decide what we’d do. I’d already mentioned Christine’s recommendation of the local Science Center to him, since I’ve come to appreciate her unsurpassed skills as a connoisseur of all things beautiful. Given that our boy has been asking to see animals for weeks and we’ve repeatedly opted not to visit the zoo due to busy days, he thought that spending time with animals was in order. So we stopped at a shop and asked where we could catch glimpse of some living creatures. And sure enough, they confirmed what we’d already heard, so up the road we went. My first stop was the bathroom and it was there that I formed my first impressions of the place. I have had one other public restroom experience that comes close to the one that I had right off Squam lake and that was in the Louvre. (Sure you have to pay to pee, but the individual rooms are cleaned after each and every usage! I rejoined my husband in an exhilarated state, very eager to spend more money for the sheer expression of my enthusiasm. The only thing for sale though was highly stylized toilet paper and he immediately vetoed my plea.) What could possibly trump super clean toilets? Compostable ones! Better in so many ways. Perfectly odorless! Respectful of nature! Water conserving! 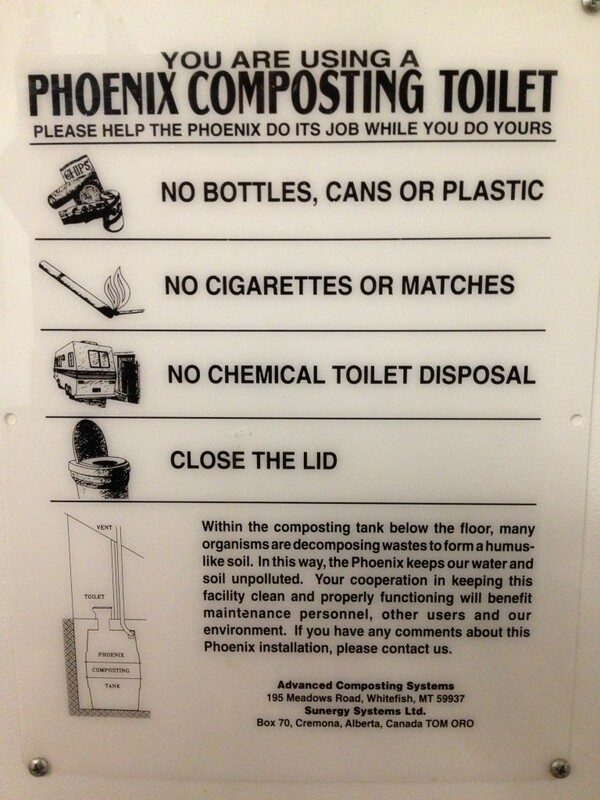 I could go on if I actually knew anything about compostable toilets. But I don’t. Someday though, I will learn. And if there was ever a good idea worth spreading, I do believe that compostable toilets fit the bill. Straight out of the gate, this place had earned my highest esteem. Meanwhile, my poor husband was having a different sort of experience. Our son has a thing for girls about four feet high, and he was love sick since we’d just said goodbye to his newest object of affection. That coupled with the fact that it really was his nap time made for a very crabby little boy. When we passed another girl along the path, he reached and cried out for her, “girl!! !” And he continued to do so for the next half hour. The first exhibit was not a live one and somehow my husband had the idea that perhaps all the exhibits were actually just examples of taxidermy. He was ready to demand our money back right then and there but I convinced him that they wouldn’t have said “live” animals unless there really were some. So with crying babe in arms, we pressed on. But we went right instead of left. We passed through what we thought was one exhibit but didn’t see any animals and I conjectured that the enclosures were so big that perhaps the animals were off sleeping, or even more likely scared away by the repeated and impassioned cry, “GIRL, GIRL, GIRL!” After what seemed like a very long time (crying babies make every moment drag on forever don’t they?) we arrived at a pond and spent some time watching a salamander. With the thought that perhaps the only creature we were going to see was a salamander, we continued up a trail until it became clear that we were entering the woods and leaving the well traveled path. Lucky for us we turned around and then things started looking up. We did see a couple more girls and they were gracious enough to entertain our boy’s whims. We dabbled in some of the very cool exhibits. This is where I had a bit of a revelation, because I was actually enjoying myself as I read the small snippets of information about the natural world. I have never been one to enjoy zoos, museums, or any place that presents broad swaths of information without much depth. I like to dig deeply into topics of interest. But being with a kid, keeping tabs on him and having a few spare moments in between to read an interesting fact here and there gave me a new insight into why such places can be enjoyable. It’s actually pleasant to be able to take in some interesting facts about the natural world while making sure that our kid doesn’t cause himself bodily harm while he explores the exhibits in his own way. I do love it when I realize another little way that my life has changed for the better since becoming a mama. And the exhibits were really fun for our boy too. As we went from one to the other, I became more and more impressed. 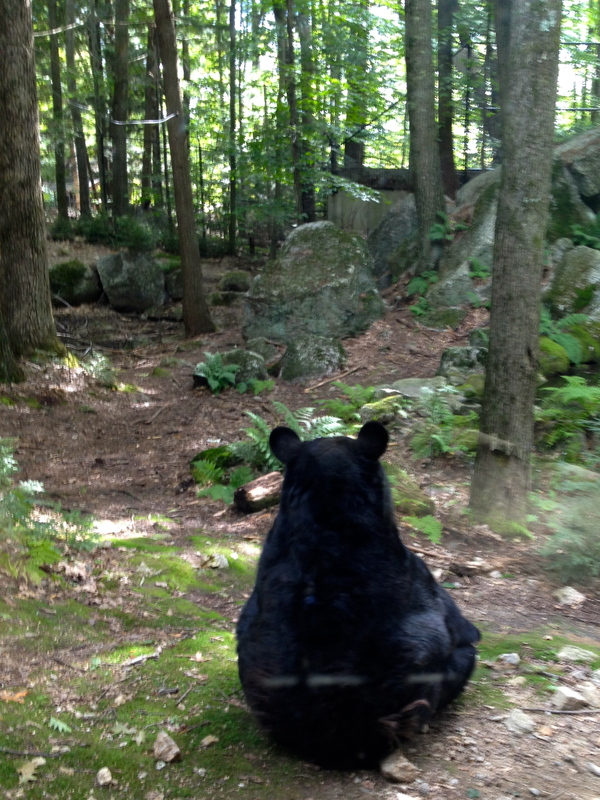 And then we saw the bears. That was really fun. Dare I indulge myself with how cute and cuddly they looked? To borrow my son’s current affirmation, oh yes! Along with other guests, we spent a good long while appreciating those bears. I was reminded of the funny things that the bear does in this quirky and very enjoyable read as I watched the antics of the smaller bear while he sat right in front of us. Husband and boy continued on through the exhibit at a leisurely pace. I had become quite cold (how about that weather?! Bless New Englanders for living in a place where Mother Nature’s most temperamental side is so often expressed! ), and hungry so I beat a hasty retreat to the car. We left Squam lake happy and had a lovely drive to Breakwind Farm just outside of Concord. Except. We missed an exit. And so we had to turn around. But the only way to do that was to cross through a toll plaza. We had to pay to leave and we had to pay to return. So essentially we paid one dollar to make a u turn. Which is fine on one hand, I’m all for chipping in for such well maintained roads. But, as our hosts at the farm pointed out, in principle it seemed a little contrary to the state motto. Which by the way, is so catchy that it’s the only one that I actually know by heart. Our time at the farm was brief but really enjoyable. Patti and Rick impressed me with how sensible and thoughtful they are. We got to hear fun stories about chickens and squirrels, and not so fun ones about other rodents. Our boy got to sit on the tractor and then watch Rick move it around. Their kitty cat is a sweet cuddly bundle of silken-fluff and she was happy to let our little one pet her, a rare treat since our cat back home barely tolerates such things. While our boy napped, we stole some time to swap ideas and gain insights into the local culture. Rick is the one who told me that the outhouse is a celebrated status symbol in their neck of the woods (just do a search on amazon.com and you’ll see on your screen what any New Hampshirite sees upon entering a bookstore, according to him). A funny idea to me, but after those compostable toilets I was really tuned into the topic. We found them through airbnb and apparently so do many others. It was cool to be part of the stream of international folks who stop in for a visit and catch a glimpse of the renaissance of the small organic farm. I imagine that it is fun for them too as life on the farm is full of work and frustrations. Having the company of friendly and enthusiastic guests must ease the daily burden of the never-ending toil that is running a small farm and learning all the while. We enjoyed dinner at a fairly common restaurant. Since most places are closed on Sundays, we didn’t have that many options. It was sort of like eating at the house of distant relatives which made the experience all the more appealing since so many people who are dear to me hail from the vicinity. 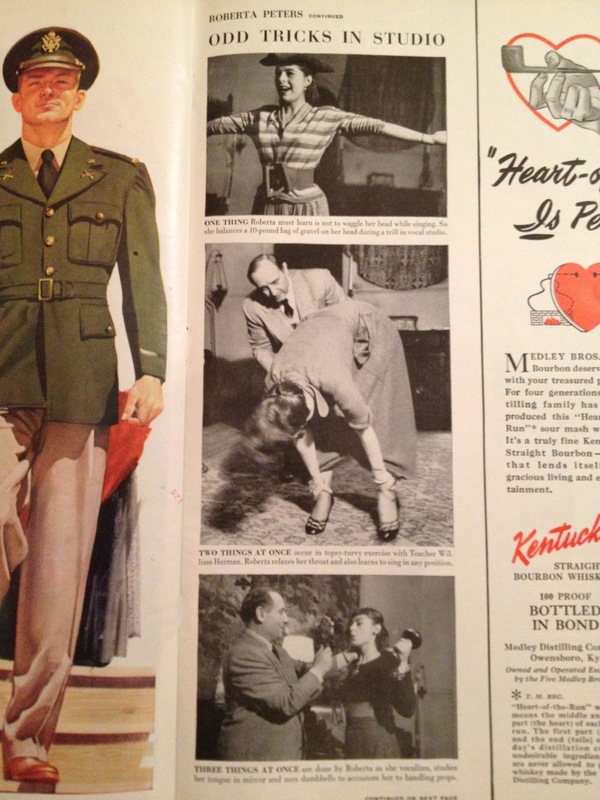 But the real gem came in the form of one particular magazine from October 8, 1951. Honestly, I do not think that I could have been happier. Happy as in if the whole trip was for the purpose of my discovering this one thing that I’ve been dreaming of finding for years, I would have been okay with that. Both Amanda and Christine have waxed on about thrifting no matter the circumstances and I’ve always wished that I was the sort of person who thrifts. But I don’t manage to set enough time aside for such things to yield the results of my ambitions. I’ve always thought that thrifting was the sort of thing that one had to do consistently to experience any measure of success. Or perhaps it’s just a matter of having access to the right places. Every once in a while though, I make a serious score. Oh how I love the thrill of satisfaction that comes from acquiring a treasure with minimal outlay! As we were being led to our table, my eye spied some shelves filled with old magazines for sale. Once we were settled in I looked up the exact date of the issue of my desire and then the hunt was on. 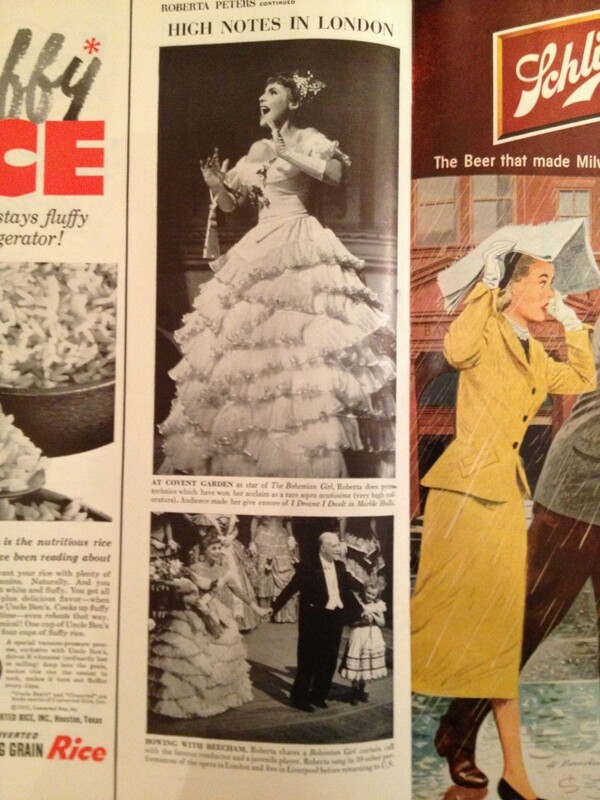 The magazines were ordered by year, each one wrapped in a plastic sleeve. It didn’t take long to find what I was seeking. After putting $8 rolled up to fit through the hole in the honor system box, I had my catch. Here are the pics, taken right on the floor of our home office, just to show that I’ve got the real deal right here with me. I’m still reveling in my luck at getting to experience first hand so much of the fun that I’ve been reading about for nearly two years! On the morning of our last day of vacation we followed the recommendation of our hosts and headed up Mt. Kearsarge. It was an absolutely beautiful drive. We agreed that it would probably be bursting with fall colors in just another week, but for us the woods were still an extravaganza of lush greens. Upon checking in at the state park gate, the very friendly park steward told us that we only had to pay if we were planning to stay (at the onset our idea was just to drive up and drive back down). Her common sense-driven leniency mitigated any lingering sense of injustice that we may have had from our experience at the toll crossing and we were feeling pleased to visit such an all-around lovely place. When we reached the end of the auto road, the parking lot was cloaked in fog. As we stood there, the fog rolled off to reveal a spectacular view. The boys became enthusiastic about hiking but I preferred to stay warm in the car and to clear my head by writing some of my thoughts down. 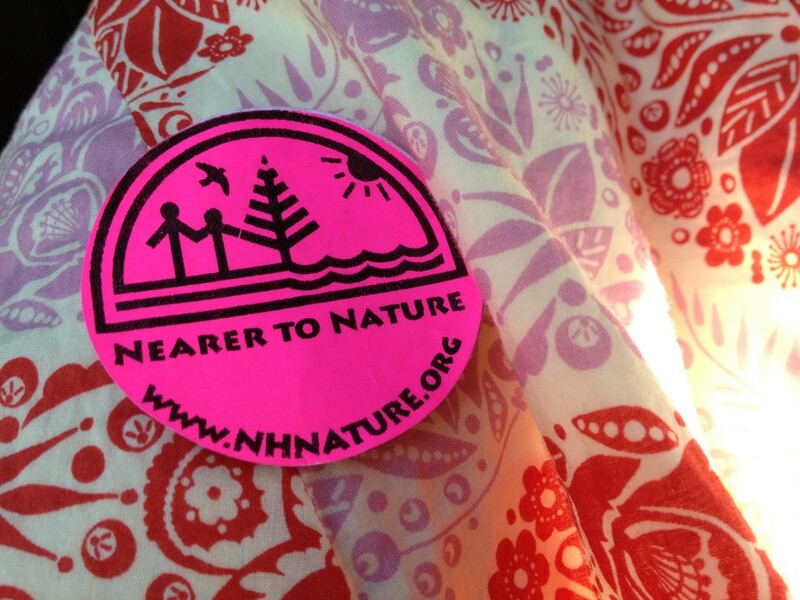 With that we completed our sojourn in New Hampshire. I do hope to be back soon. It is a truly beautiful state with friendly folks and all sorts of hidden treasures just waiting to be discovered. This entry was posted in Daily Musings, Everything I Need to Know, I Learned from my Kid on September 20, 2013 by elizatwist.